On this project, we transformed the garden and drive area. 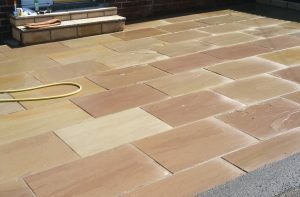 We removed the existing, laid a new paved drive and wall, we work alongside all the major suppliers of paving, as a result we will offer the best drive, path or patio solution in accordance with your budget, all designed to be hard wearing, with materials including natural stone, cobbled setts, rectangular block paving and permeable paving. 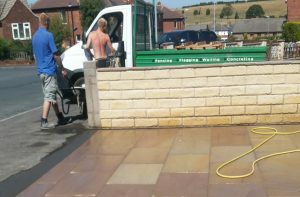 We have block and stone paving installations all over the Cleckheation, Birkenshaw, Birstall, Batley, Heckmondwike, Gomersal, Scholes, Wyke and Dewsbury, Leeds, Bradford and West Yorkshire area. 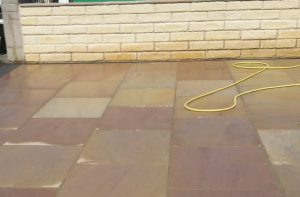 Only using the highest quality materials, as a result we can ensure all our work is designed to last for many years, throughout the English climate.